Click on the map link below to learn more. 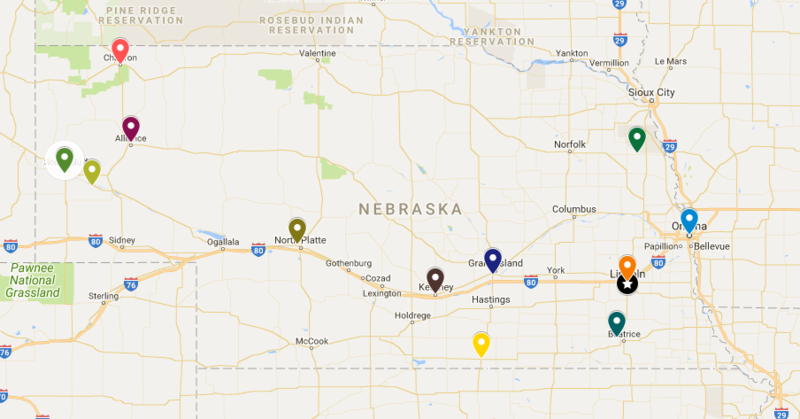 Each school must have a confirmed reservation with one of the Nebraska Experience Approved Sites. A digital copy of each confirmed reservation will be required before the application can be submitted online.